The Guildhall Yard in the historic City of London will turn into a celebration of cosplay and games culture when the London Games Festival’s annual Games Character Parade and Family Day returns on Saturday 6 April. The parade is part of the twelve-day Festival of video games and interactive entertainment across the capital and is back in 2019 for its third year. The family day boasts a range of free activities for the whole family throughout the day including game exhibits, costume making and a unique VR experience in a historic location. Games fans will gather in Guildhall Yard for the annual Games Character Parade and an onstage fashion show hosted by Costume and Play, while retro games come to life with interactive exhibits by Actual Reality Arcade. Meanwhile, in Guildhall Art Gallery, young people can create their own costumes for the Character Parade with Boxhead Craft and SamiArts, and use Minecraft game technology to understand traditional crafts in Minecraft Knit, with help from its creator Gemma May Latham. Minecraft Knit will return to the Gallery the following weekend on Saturday, April 13 as part of the Family Day for Seen and Heard: Victorian Children in the Frame (23 November 2018 – 28 April 2019). In the Gallery’s ancient Amphitheatre, an interactive virtual reality experience by Professor William Latham will introduce new audiences to the latest innovations in digital art in the historic home of games in London. Professor Latham will also lead a lunchtime symposium for game developers, digital artists and academics working at the cutting edge of digital art. London Games Festival runs from 2 to 14 April and is organised by Games London, a partnership between the capital’s screen industries agency Film London and games trade body Ukie, supported by the Mayor of London’s London Economic Action Partnership (LEAP). The London Games Festival Character Parade and Family Day is just one of 40+ cultural or B2B events across 30 venues from 2 to 14 April. London Games Festival is responsible for a series of thought-provoking summits and conferences, plus the Games Finance Market welcoming financiers with over £200m to spend on games investors. Other highlights include EGX Rezzed (4-6 April), Now Play This at Somerset House (6-14) and the BAFTA Games Awards (4 April). More information and details on how to buy tickets can be found at www.games.london. Games London is backed by the Mayor of London with funding worth £1.2m from the London Enterprise Action Panel, and seeks to make London the games capital of the world. Over 50,000 people attended 40 different events across 20 different venues during the 2017 festival. The Festival has also established itself as a platform for global business in games with the Games Finance Market delivering nearly £20m potential business in April. Since its launch in January 2016 Games London has connected 145 games businesses in the UK with 109 global investors, driving over £30m potential business back into local companies. The 2018 festival aims to go even further with a wider programme of outdoor events and an even bigger offering for the games developer community. 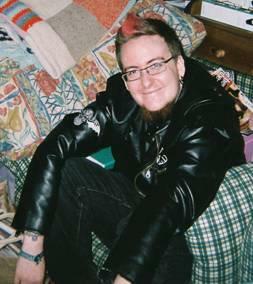 LGF organisers are also curating the brand new HUB event (Monday, 9 April and Tuesday, 10 April). HUB is a new two-day B2B event housing the Festival’s summits, a demo zone for prototpyes and start-ups, a pop-up coworking space and gallery. More details will follow in September. Also to be announced later is a fresh range of activities that bring games to life on the city streets covering esports and street art, plus an exhibition of BAME artists in games and the return of the Games Character Parade. Follow @londongamesfest on Twitter or head to www.games.london for more updates over the coming weeks and months. Replay Events, the UK’s leading gaming entertainment company, announced today participation in the GEEK festival, a three-day celebration of all forms of gaming, taking place in UK half-term week from February 17th through February 19th 2017. 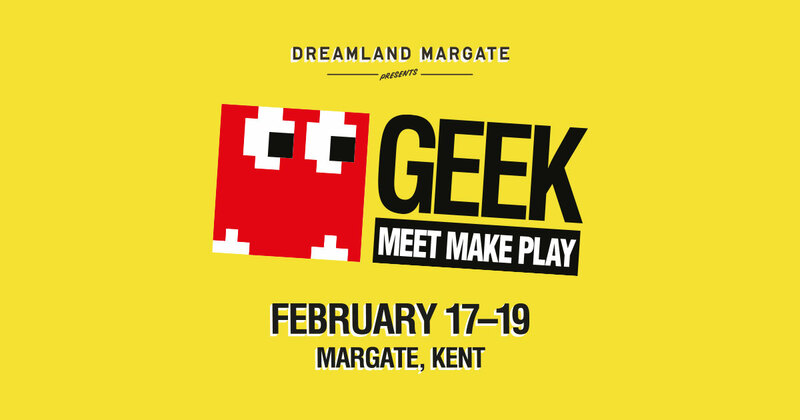 More than a mere video game show, GEEK features family entertainment on an epic scale, featuring a huge range of multi-player interactive games, board games, retro and current gen gaming, card games and real world games. -Multi-Player Lounge Play – Come chill out with a classic range of ‘couch-play’ four-player titles, from classic games like Micro Machines™ and Bomberman™ to brand new indie sensations like Ultimate Chicken Horse™ and Party Panic™! -Multi-Player Retro Gaming – Take a trip through time sampling forgotten classics from previous generations of consoles from the Atari® VCS and the Amiga™, to the PlayStation® 2, Gamecube™ and original Xbox™. See how the games of yesteryear compare to the modern classics on current generation consoles, also available to play at GEEK! -Tournament Zone – Replay Events brings the fun of competitive gaming to GEEK, running contests throughout the show on classics such as Halo 4, PES™ 2017, Street Fighter™ V and Minecraft. With prizes to be won, gamers can test their skills and win big! -Rock Band™4 Stage Zone – Rock out with the legendary music game, featuring a full four-player band setup playable on the stage! -Iron-Geek Challenge – Not for the timid, show your skills on Pac-Man™, Sonic the Hedgehog™ and Super Mario Bros™ in the Iron-Geek challenge zone! Race through each of the games and win the coveted trophy! Amongst the impressive roster of events taking place over the three days, GEEK is proudly teaming up with Nintendo® to celebrate the 25th anniversary of Mario Kart™. Alongside offering visitors the opportunity to play every Mario Kart game through the ages, GEEK proudly plays host to the official Mario Kart tournament, taking place on Saturday 18th February. With a chance to win a brand-new Nintendo Switch™* home console, players will compete one-on-one in repurposed bumper cars from Dreamland’s historic amusement park as they tussle for first place across eight races from the best Mario Kart has to offer! For the purposes of this event, an adult is aged 15 and over. There will be some over 18s areas at the evening event. ​The London Games Festival will take place from 30 March to 9 April 2017, organiser Games London has announced, along with its plans to grow visitor numbers to 50,000 next year. Games London is backed by the Mayor of London, with funding worth £1.2m from the London Enterprise Panel. The three-year programme serves to promote the UK’s games sector and seeks to make London the games capital of the world. Games London ultimately aims to attract £35m of investment to the capital and create 280 jobs, all while underlining the cultural significance of interactive entertainment. The 10-day celebration in April 2016 welcomed over 38,000 people across 30 different events across 20 different venues and culminated in a games-themed street art commission across multiple London landmarks, from a pub in Walthamstow to the Leicester Square cinema district. Over 50,000 are expected for 2017’s festival, which will run from 30 March to 9 April. The event will open with EGX Rezzed at Tobacco Dock (30 March to 1 April), with other events confirmed for the schedule including the British Academy Games Awards (6 April) and the return of Now Play This at Somerset House (7 April to 9 April). Further announcements to come will detail activity around eSports, the Festival Fringe and a range of summits and lectures for professionals. Also returning is the Games Finance Market (4 April to 6 April), an instrumental part of the Games London strategy. The Games Finance Market connects games developers and interactive content creators with investors and funders. In 2017 the event will double in size to welcome 60 investable businesses meeting 60 international investors. Games London’s programme supporting games businesses has already brought in over £8.5m in potential investment to the capital. If you love games then you’ll love the Radius Festival, successor to last year’s hugely successful ‘EToo’ event, founded by The Guardian’s games editor Keith Stuart, game designer and producer Georg Backer, and Loading Bar Manager Jimmy Dance. The ambition was to create an event where people could discover and explore new and interesting games – and over the course of four days, it attracted over a thousand visitors. This year EToo has evolved into the more ambitious Radius Festival, which will include several separate events. The festival kicks off this Monday, June 9th, with “Radius Loading”, a big E3 media briefings party at the new Loading Bar location in Dalston, London, where popular gaming podcast Midnight Resistance and friends will collectively analyse the major press conferences. 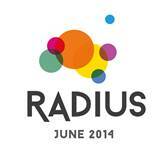 Then, between June 19th – 21st, the “Radius Exhibition” will showcase a range of fascinating, exciting and intriguing games, from both well-known studios and new talent. The venue is one of London’s premiere locations, the White Space, seconds away from Leicester Square, right in the heart of London. “There are amazing games out there, many unheard of, struggling to be discovered. We want to help them find an audience”, adds Andy Payne, chairman of UKIE, CEO of Mastertronic and co-organiser. During the evenings, the venue will host the “Radius Show”, a live-streamed Internet show broadcast on Twitch featuring developer interviews, guest stars and many surprises. As with last year’s show there will be amazing games, interesting conversation, fascinating insights, breaking news and controversy. “Last year we had everyone from comedian and actor Rufus Hound to video game poets and a music group that uses modified Guitar Hero controllers,” says co-founder of Etoo and Radius, Keith Stuart. “We’ll also have some great guest presenters, and I’ll be wearing a new jumper.” The full line-up for the “Radius Exhibition” and “Radius Show” will be announced very soon, along with a few surprises.